7 lessons from the founder of IKEA - Ingvar Kamprad R.I.P GENIUS! 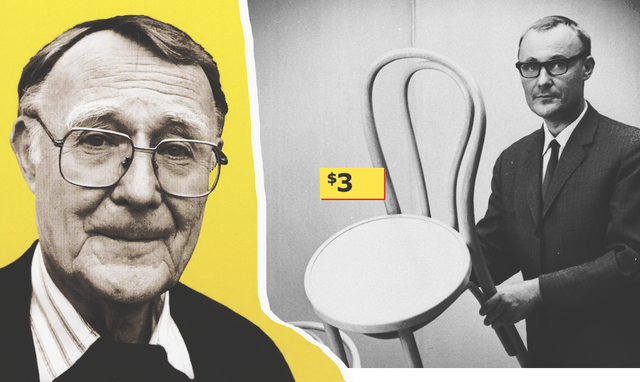 Hey there Steemians , i just recently found out that the founder of IKEA Ingvar Kamprad passed away and i was doing some research about this tremendous human being and found out some fascinating things that all of us should learn from this gentleman. 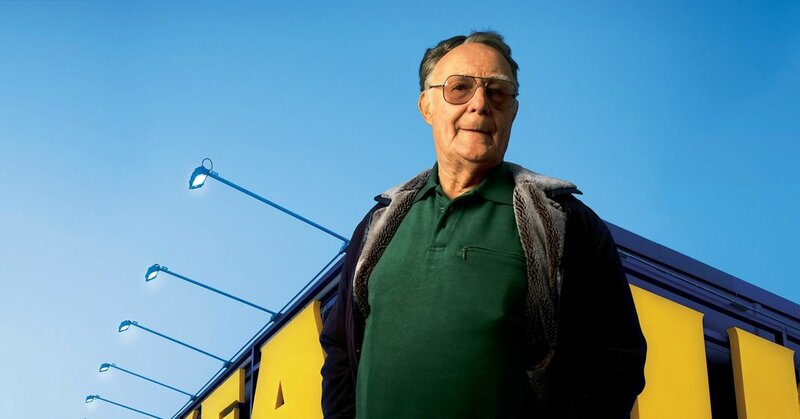 One of the great entrepreneurs of the 20th century, Ingvar Kamprad, the founder of IKEA, passed away today. As Reuters pointed out in its short biography, Kamprad created a store — as a teenager mind you — that today has more than 400 locations, revenues of $62 billion, and a cultural ubiquity that very few consumer products could ever hope to attain. Having read the IKEA story over the years and in various forms, there are just so many lessons to take from the one-time startup turned corporate behemoth. Before you sit down at the table with a difficult-to-pronounce name and start writing this article, there were many events related to the brainchild of Ingvar Kamprad. On the way to the bathroom, the little finger touched the cupboard "Oppland". He wriggled in pain and, in addition, hooked the "Callax" rack with his shoulder, wandered into the bathroom, took out a brush from the holder "Stugvik". In the kitchen I put a mug of coffee on a cork stand with an unpronounceable name and realized that the whole world is Ikea, and people in it are consumers eagerly grabbing affordable furniture and trinkets. IKEA made a law according to which, when you come for a rug, you will necessarily leave with a cart loaded with aromatic candles, cheap utensils and other rubbish, which by and large you do not need. The most ridiculous purchase, if you recall, you can call an iron deer from the discount department. Heavy iron fool can be useful except to kill unwanted guests, and now stands and sets the tone for the workplace. And all this thanks to a man whose name has already been mentioned. 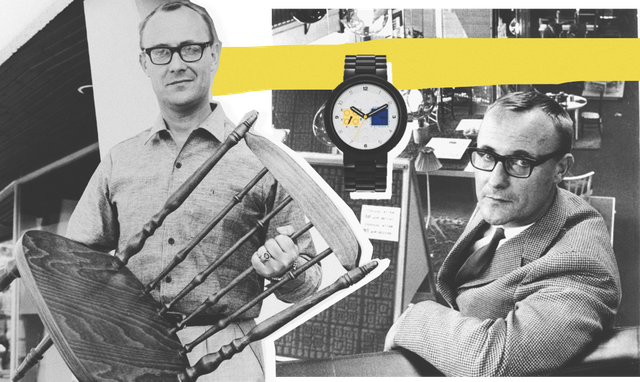 Ingvar Kamprad has created not just a company that produces furniture, but a real catalyst for family comfort. Although, no matter how hard you try, you will not be able to arrange furniture as beautifully as in shopping pavilions. The rooms in our apartments are not so square. Kamprad's life itself is a real occasion for envy. He lived a long time - 91 years. Almost to the last day was, as they say, in fact, created an empire that has no equal, and such moments of biography as hangouts with pro-fascists did not spoil the impeccable biography. The narrator from "Fight Club" forced his apartment with dishes and furniture from IKEA, your girlfriend wants to buy everything that is there. And what was Kamprad himself and what are his life principles? 8 lessons from the one of the greaters entrepreneurs of 20th century. Entrepreneurial vein played in the Swede early. At the age of seven, he traveled with his father to Stockholm, bought matches there at a wholesale price, and then cycled around the neighboring farms of the most backward region in Sweden, selling them much more expensively. All the profits he reinvested in the purchase of new products. By adolescence, the assortment of his "traveling shop" has grown considerably: he also sold fish, Christmas decorations, seeds, stationery. 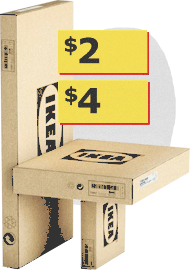 Many believe that IKEA has switched to various consumer goods such as watches and dishes on the wave of success from the sale of furniture. Actually, on the contrary, IKEA started with the sale of fish, seeds and the fanciful pens. In the courtyard was 1943, Kamprad was 17 years old, and he was the only employee of the new company. Realizing that it would not work endlessly to ride a bicycle, he began to master a new way of distribution of products - through mail. The young man realized that with the help of advertising in newspapers it is possible to sell furniture produced in small enterprises. Since the enterprising Swede could not remember the digital articles, he began to come up with furniture names. Since then, the whole world has been breaking its tongue, trying to pronounce unpronounceable Swedish words. The first piece of furniture sold by the store opened in Elmhult was simple kitchen tables. They were made by Ernst's uncle. 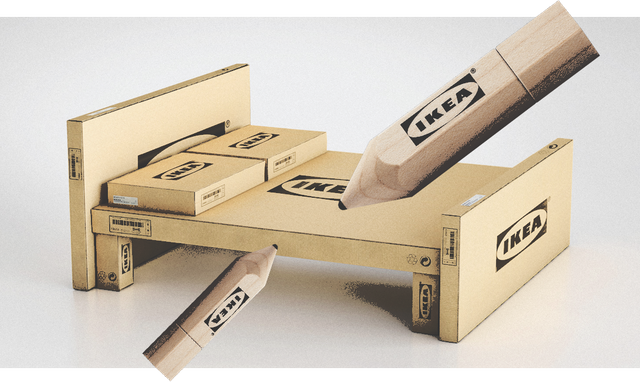 Ingvar dreamed of making furniture accessible to everyone, but he was looked upon as an idiot. The fact is that in the middle of the twentieth century, furniture was the same luxury, as in the centuries before. In the houses were praprababany beds, chests, tables. And this is in Sweden, which did not suffer from the Second World War, because it remained neutral. "You will be ruined if you sell furniture cheaper," his father told him. But the young entrepreneur had thoughts about how to make the process cheaper. The work of carpenters was valued very highly, but Kamprad thought that the buyer himself could be a joiner. So the team furniture was invented. According to legend, Kamprad saw his employee twisting the leg off the chair to fit in the car. So it is or not, but the sale of boards and screws with instruction has significantly reduced the cost of the process. The second way to reduce the cost was the famous flat packing. It's hard to believe, but Kamprad was the first to think of it. Probably because I did not understand a damn thing in design. The country that produced the most affected the price. Kamprad first thought of buying goods in socialist Poland and opening production sites in developing countries. All this led to the fact that desperate furniture factories in Sweden declared the IKEA a boycott. But all this was nothing more than a dog barking on an elephant. Saving is the main motto of the company. Ikea furniture has so many straight lines, and all their products are practical. Furniture without ryushechek and carved patterns is cheaper, and it is easier to assemble it. This design became stylish only with time, when the fashion changed, and the budget of the company sharply crawled up. Kamprad said: "Our way of thinking is to be simple and straightforward." Sometimes too simple. In IKEA, they save on everything, and this is one of the necessary parts of the corporate culture. Because Kamprad in itself was a wild miser who flew only economy class, stayed in cheap hotels, ate stuff from supermarkets, and moved on old Volvo. Although, Volvo and in 15 years is a Volvo. Unlike Ikea cabinets. At the same time, Kamprad founded the Stichting INGKA Foundation, which is one of the world's richest charitable organizations. IKEA is not the company that is trying to win the market with quality. No, they approach each market strictly individually. For example, in China they offer smaller furniture, because the average footage of apartments in China is on average smaller, and the ceilings are lower than in Europe. Their stores are built not near the highway, but closer to the stations, because a simple Chinese does not have money for a car. But there is public transport and a bicycle. People say that Kamprad was a very simple person in communication. It was common for him to suddenly appear among the employees, throw a couple of sentences or arrange a lecture. And he was really interesting to tell, it was by no means the grumbling of an elderly man. Kamprad believed that it was necessary to give the staff more independence, to create a warm family atmosphere. Then the workers will agree to an ascetic corporate ethic and start working more efficiently. He worked from morning till evening in young and mature years. Even after retiring, he did not give up the reins and continued to delegate authority, keeping the empire under control. This is the only way to achieve something - not allowing yourself too much rest. The death is inevitable for anyone of us . But when tremendous people die we feel extra sad cause of their impact of the world and their vision that brought us forward in our evolution. 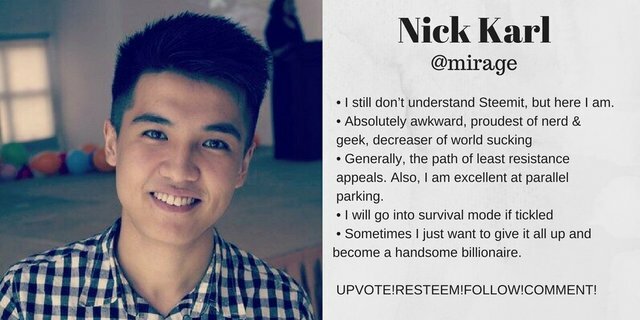 I've learned a lot doing research about this gentleman and i hope you guys did it too.